Want to get active and explore Australia by foot? These epic walks or ‘great walks of Australia’ are among some of the most spectacular landscapes Australia has to offer and are journeys of a lifetime in themselves. 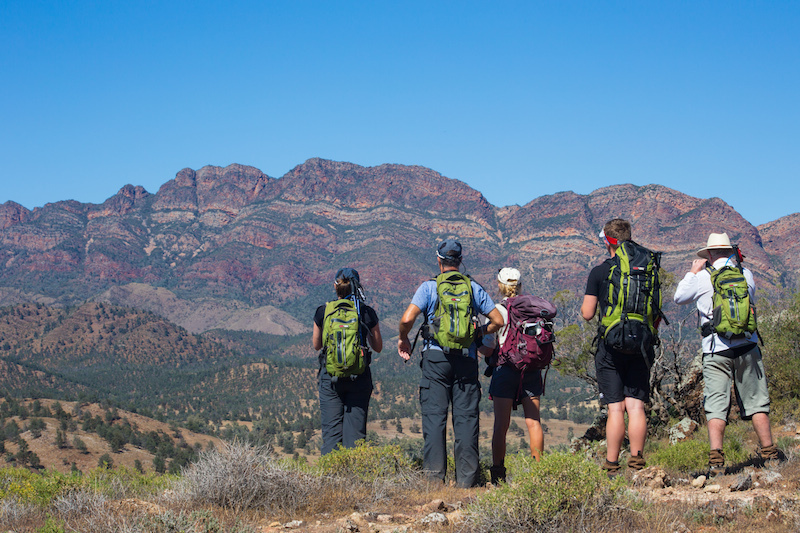 Walking is one of the best ways to fully immerse yourself in Australia’s spectacular natural environment. From epic treks to short hikes through World Heritage-listed national parks, Australia really has some of the most amazing walking experiences in the world. Through our travel partner we offer an exclusive luxury collection of multi-day walks around Australia. Each of these 4 to 7 day independently-owned and guided walking experiences is unique, and together they cover some of Australia’s most iconic landscapes. From the untamed Tasmanian wilderness to the rugged Victorian coastline; the volcanic plateaus of Queensland and the magnificent outback of South Australia. And in to the heart and red centre of Australia. Experience one of these great walking safaris of Australia for yourself. and in Tasmania – the Bay of Fires Lodge Walk, The Maria Island Walk and Freycinet Experience Walk. Ask us for more details on tailoring one of these epic Australian walks into your Australian journey. 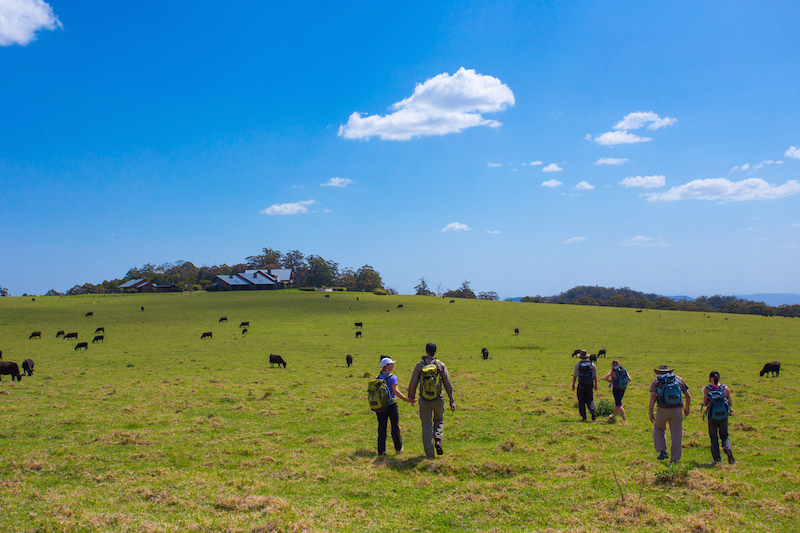 Starting with a 5km walk on a graded walking track to the twin peaks of Mount Mitchell, this walk concludes with a descent into Spicers Peak Station and a walk along Millar Vale creek, arriving at Spicers Canopy late afternoon in time for a gourmet dinner and award winning local wines. 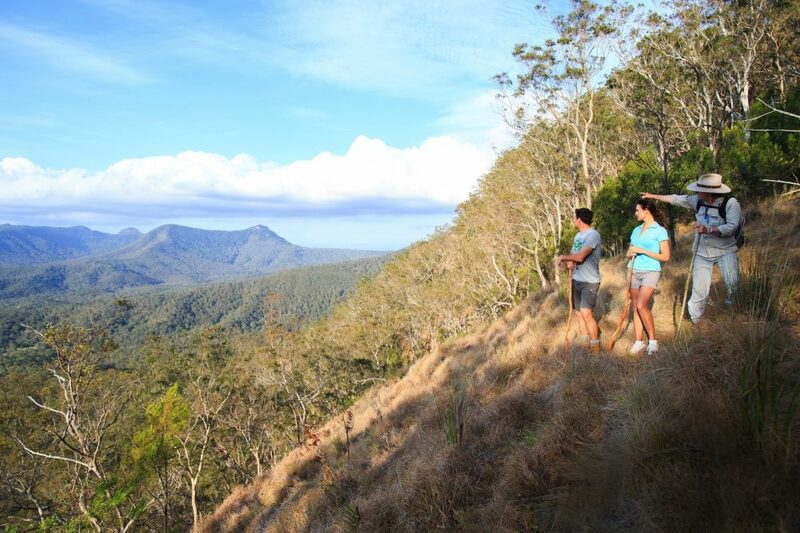 Amazing birdlife and 360 degree views of the Scenic Rim are highlights on this day. 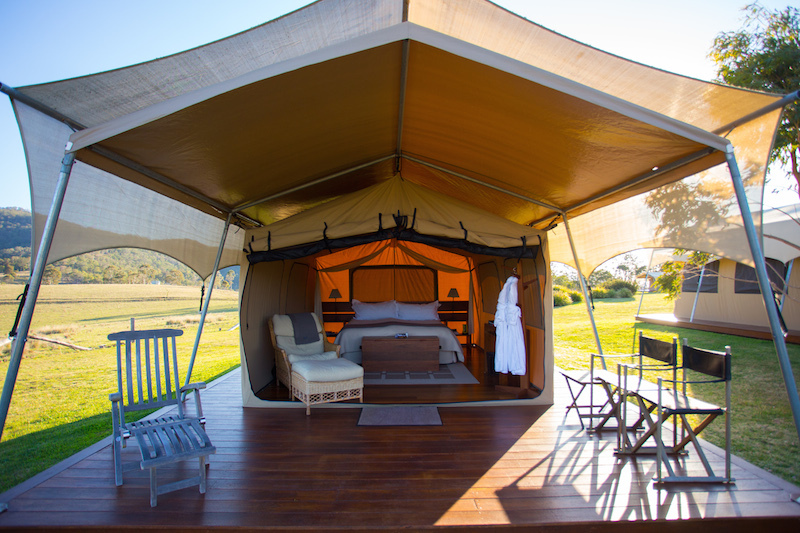 An interesting half day hike through Millar Vale and Oaky creeks and open farm land surrounding the Luxury Ecosite will start and finish at Spicers Canopy. 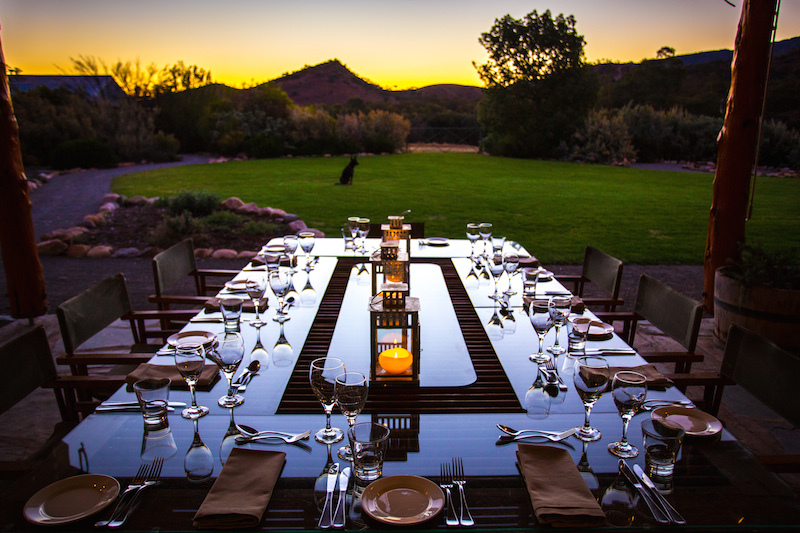 The afternoon includes some free time for mountain-biking, relaxing and a local food and wine master class. A 10 km ascending trail which includes various types of terrain including Mallee scrub, wet sclerophyll, ancient hoop pine forests and exciting rocky outcrops. 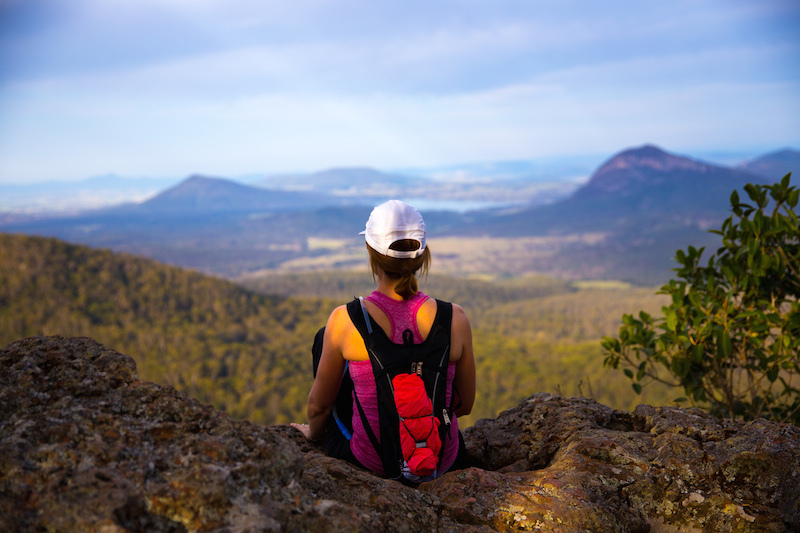 A final ridge crossing and push to the summit will bring you out at the magnificent Spicers Peak Lodge and an evening of well-deserved pampering and exceptional food and wine. The most challenging, but the most rewarding day of the trip. An early morning (optional but included) walk to Ryan’s lookout is on offer for those who are keen. For those less inclined, you can relax in the library with a book, participate in a game of tennis, purchase a spa treatment in our dedicated day spa “Spa Anise” or take an optional helicopter joy flight over Main Range National Park. Transfers back to Brisbane are around 11am. 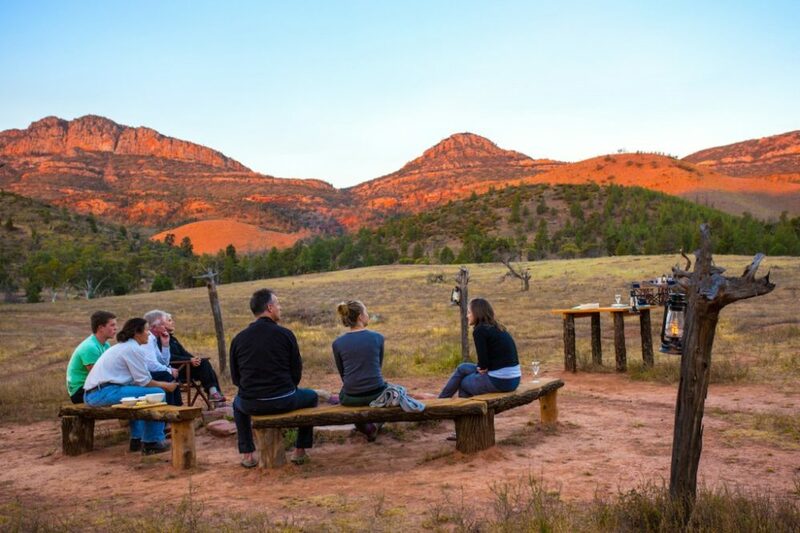 Set off on foot through the basin of Wilpena Pound before walking onto Arkaba’s private wildlife conservancy from the edge of the Pound and descending to Black Gap’s Camp. A challenging hike through creeks and broken country approaching the foothills of the Elder Range to Elder Camp. 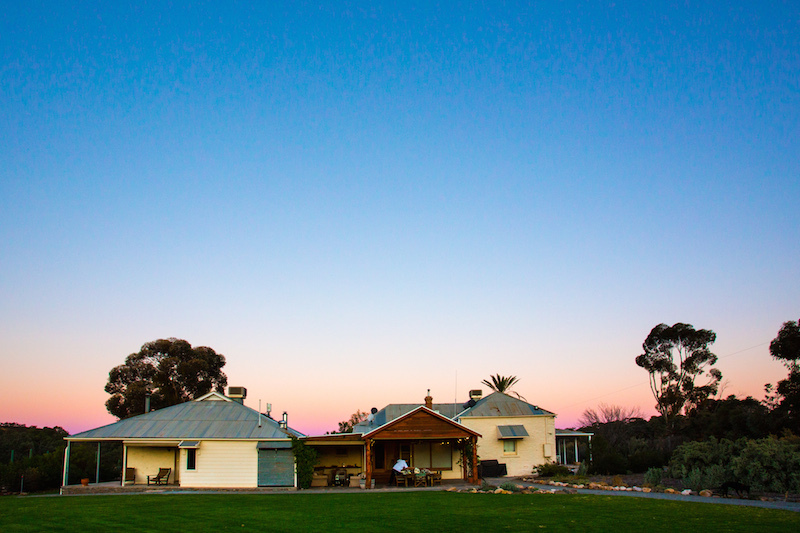 Walk across varying terrain through Mallee and cypress pine forests before ascending the beautiful Red Range for views across the neighbouring ranges and crossing Arkaba Creek to arrive at Arkaba’s heritage homestead.